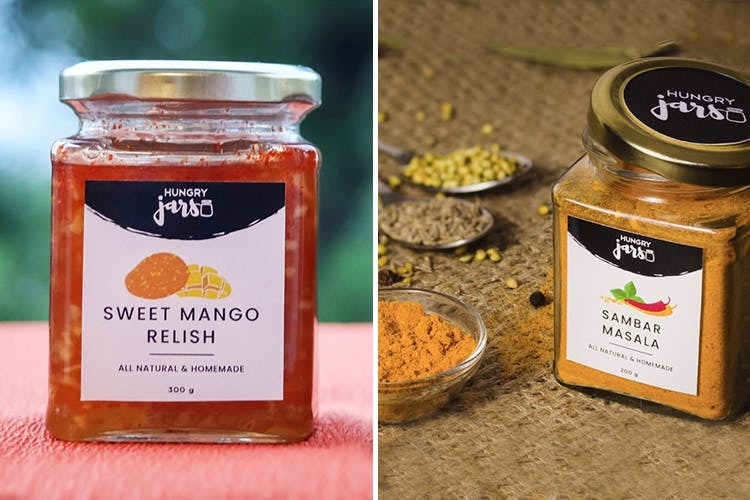 Hungry Jars is a food brand that’s committed to bottling up age-old family recipes to remind everyone of the simple joys of achaar and hot chocolate. They insist on using the freshest ingredients, and have a line of jams, pickles, condiments, butters and more that come with a generous helping of nostalgia. Homemade comfort food with yummy coffee and hot chocolate premixes, Sweet Mango Relish and pickles. We pull a long face every time we’re confronted with preserves or pickles that taste synthetic. Thank God, Hungry Jars has none of that. It’s a venture with a clean heart, and the soul of a good-natured, jovial mummy who loves to entertaining and feeding at home. Their pickles can brighten up the dullest meal, the almond butter can turn the gloomiest brekkie into a toast laden with sunshine, and the mango relish goes perfectly with pakoras and crackers. It helps that some of their products also come in combos, making it easier to stock up the pantry. Their Indie Mix Pickle and Chilli Garlic Sauce are our favourite, followed closely by their masalas (both Sambar and Chilli Chicken Masala are yum!). Surprise someone you love on a rough day with a box of these homely goodies — Hungry Jars delivers all across the country.